Want to walk the Camino in 2015? 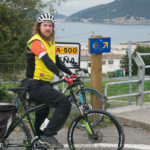 Book your trip now with CaminoWays.com, the walking and cycling holiday specialists, and receive a very special early bird discount of 10% on self-guided tours. Every year, pilgrims from all over the world set out on a Camino adventure and now, with this fantastic offer, you can join them. 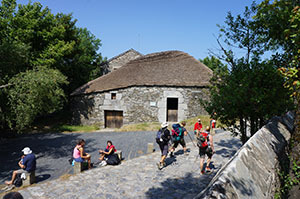 With CaminoWays.com, you can choose from more well-known routes, such as the French Way, or lesser known paths, such as the Camino routes in France or the Via Francigena, the Camino to Rome. Regardless of which Camino path you select, you are guaranteed to discover incredible history, rich culture and stunning scenery that will make it the trip of a lifetime. Discover the last 100km of the French Way from Sarria to Santiago de Compostela. From ONLY €537pps in high season and from €456pps in low season. From ONLY €724pps in high season and from €623pps in low season. From ONLY €501pps in high season and from €423pps in low season. From ONLY €1157pps in high season and from €973pps in low season. Start in Le Pu yen Velay and journey along one of France’s most traditional Caminos to Aumont-Aubrac. From ONLY €488pps in high season and from €412pps in low season. Prices do not include: Flights or insurance. Optional: Ask our team for hotel upgrades available.